SEOUL, Aug. 16 (Yonhap) — Samsung Electronics Co., a South Korean tech giant, said Tuesday it has joined an international blood donation campaign to encourage more people to give blood for those in desperate need. The Red Cross’s International Missing Type (IMT) initiative encourages popular brands and organizations to remove A, B and O from their marks or social media content to highlight the importance of the four main blood groups A, B, O and AB. 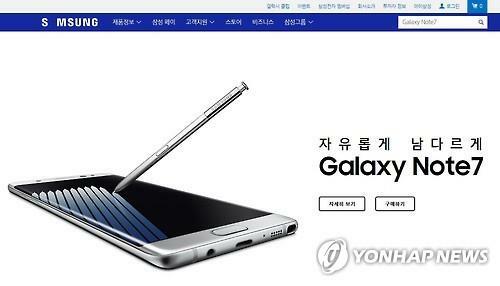 Samsung Electronics said it removed “A” from its letter mark on its official website in 15 nations starting from Monday for the week-long campaign. If visitors click the question mark next to “S MSUNG”, it will lead to pages that introduce the Red Cross’s donation campaign, the firm said. Samsung held its first in-house blood donation campaign in 1996, with around 280,000 employees donating blood so far. Samsung Electronics Co. erases “A” from its logo on its official Websites worldwide from Aug. 15-21, 2016 to join the Red Cross’s blood donation campaign, shown in this photo provided by the company.